Steps from the Bonifacio High Street this world class facility is close to a full range of dining, shopping, and entertainment options. In one of the newest business districts in the Metro Manila the luxurious and modern office space is right across from a spacious park. Enjoy high ceilings that will give you an unobstructed 360 view of the city. You’ll be surround by local area amenities, and will be a 5 min walk to the shopping malls and leisure options on Serenda High Street, SM aura, and Market Mall; home to a wide selection of dining outlets, banks, and retail outlets. Moving your business here means you wont have to sweat the little things as this center provides the type of service one would expect from a hotel concierge. As a part of membership you’ll also gain access to the plentiful amenities that come with membership as well as the best networking opportunities. The centre is in 31st Street, Metro Manila. It is only take hour minutes distance from High Street and the centre. There are a lot of restaurants, entertainment hotspots and retail shops in High Street which can provide all you may need in your working day. The centre provides 24 hour security, 24 hour access to the centre, administrative support, copy and printing facilities, IT support and free WIFI for your daily office use. This space offers both co-working and private offices. The interior is modern, colourful and relaxed. Scanning and printing services are available and are absolutely free. Hi-speed internet is accessible throughout the space, ensuring your business runs smoothly and efficiently. 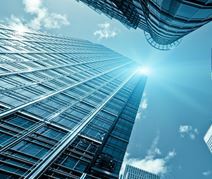 Air conditioning keeps the centre at a cool, comfortable temperature helping to promote productivity. Located in a dynamic neighbourhood of Bonifacio Global City. The space is easily accessible by public transport. 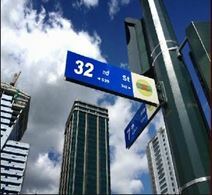 It is a 25 minute walk to Guadalupe MRT station. Parking is available 6 minutes' walk from the centre and the nearest bus stop is situated one minute away. In the vicinity, there are shopping malls, shops, restaurants, fast-food joints, coffee shops, and banks. With entry via bio-metric scanning this flexible workspace is situated within one of the most eco-friendly buildings in Bonifacio Global City. 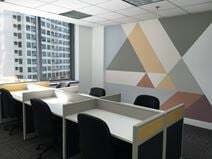 Offices are fully furnished and have an internet connection as well as IT and administration services. Opening soon - Located above Uptown Mall, this centre shares a building which is home to an abundance of restaurants and eateries, both foreign and domestic, a movie theater and a selection of shops. Accessible via bus through several main terminals, all located within a ten minute walk, and near to Carlos P Garcia Avenue, so you have great connectivity to greater Metro Manila. A centre offering private offices and coworking solutions with access to fantastic breakout spaces fit with micro-roasted coffee bars and fresh fruit water as well as meeting rooms of all sizes. More information on this location is coming soon, but inquiries are gladly accepted. Get in touch today to schedule a visit. This fully furnished centre is located in a modern building and caters for all of your business needs. The on-site management team are there to help make your stay as comfortable as possible. Meet like-minded individuals and join a collaborative community. North Bus Station is 1 minute's walk from the space. If you are travelling in by car there is parking available. A variety of restaurants can be found around the centre such as KFC. There are also banks, shops and ATMs in the vicinity. University of Makati is 13 minute's walk from the centre. This office space has everything! it is located at the heart of Bonifacio Global City Taguig.Accessible to all major establishments and major transportation services. The office tower’s location is one of the most convenient in Bonifacio Global City making the most sort out place to work. It is close to the main transportation hub and major roads.This city experiences commercial growth so being a start up business, freelances or any other type of business this corporate center is perfect for all. This office space has everything! it is located at the heart of Bonifacio Global City Taguig.Accessible to all major establishments and major transportation services. The office tower’s location is one of the most convenient in Bonifacio Global City making it a top choice for employees to work in. It is close to the main transportation hub and major roads.This city experiences commercial growth so being a start up business, freelances or any other type of business this corporate center is perfect for all. Located at the heart of Bonifacio Global City Taguig .Accessible to all major establishments and major transportation services. The office tower’s location is one of the most convenient in Bonifacio Global City making it a top choice for employees to work in. It is close to the main transportation hub and major roads.This city experiences commercial growth so being a start up business, freelances or any other type of business this corporate center is perfect for all. This stunning boutique- style office space offers it all including hotel standard service. The meeting space offers prime quality technology that you would need to make your business run smoothly. A variety of location- exclusive options that will give all members the space and amenities, plus the creative networking opportunities that any business maybe searching foto all major establishments and major transportation services. The office tower’s location is one of the most convenient in Bonifacio Global City making it a top choice for employees to work in. It is close to the main transportation hub and major roads.This city experiences commercial growth so being a start up business, freelances or any other type of business this corporate center is perfect for all. 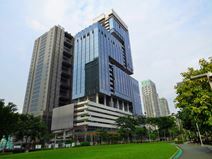 This 26-storey, Grade A building in the heart of Bonifacio Global City is set up to provide workspace for between four and 100 people across a choice of private and shared offices. There are also meeting and conference rooms, and 24/7 IT support. Located on the 9th floor of a PEZA certified, state-of-the-art building in central Taguig, this space offers executive offices with full concierge services. benefit from access to meeting rooms with full technology equipment, plus exclusive access to networking events and opportunities with like-minded entrepreneurs from all business industries. Situated just 30 minutes away from Taguig's Nichols train station and less than an hour from Ninoy Aquino Airport (MNL). Office space prices ranging from ₱10000 - ₱50120 per month. A well-equipped, modern work-space. Flexible terms ensure you are able to find a plan which suits you. High speed Wi-Fi is accessible throughout the space. Join a community of collaboration, sharing, and networking. Free water, tea and coffee are available to keep you hydrated throughout the day. Situated on 7th Avenue, in a premier business district. It is a one minute walk to the closest parking lot, and bus stop. Adjacent to the space you can find a green, open space, perfect for a break during the day. In the surrounding area, there are a number of restaurants, cafes and bars to explore during your stay. There are also banks and convenience stores located nearby. Ideally situated in the fastest-growing business district in the Philippines, this BCA Greenmark building provides a choice of 13 furnished offices ranging from 10 to 22m². These serviced offices are on the 19th and 20th floors of an office tower building that is part of Megaworld"s 15.4-hectare township development, Uptown Bonifacio. The site currently holds a LEED Silver certification. 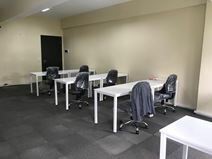 Located in Bonifacio Global City, this serviced office space is ready for your business to move in. Focus on your business, and allow the team in this centre to take care of everything - from greeting guests on your behalf, to answering phone calls with your company name. Surrounding the space are cafes and restaurants to provide everything you could need on your lunch break too, plus buses and trains regularly service this area of Taguig. 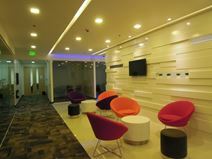 Gain new experiences in this central Taguig office space. Flexible terms and inclusive pricing give you the peace of mind that you can come in to the office and start working, without worrying about which bills to pay and where you're going to find furniture - your office comes fully furnished. Local trains run regularly to help make your daily commute a breeze, while the nearby cafes and restaurants offer lunch and dinner options for you, your clients and your colleagues. This premium office space consisting of modern design and engaging facilities, make this office space an attractive work space for small to medium enterprises planning to set-up businesses in the Philippines. Each workstation comes complete with Internet connected desktop PC, lockable storage drawer and ergonomic high back chair. This combined with 24/7 IT support, ensures that tenant’s business continuity is always a priority. Based on Lawton Avenue, just minutes from the Manila American Cemetery and Memorial, this serviced office space provides everything you could want from office space - high-speed internet, secure access, meeting rooms and lounge space. The on-site team is available to offer assistance where they can, whether it's greeting your guests while you're in meetings, or answering the phone to take your messages. With private offices that can cater for between three and 140 people this center is housed on the 11th floor of a premium-grade office building connected to SM’s newest flagship mall, a convenient location in Bonifacio Global City.